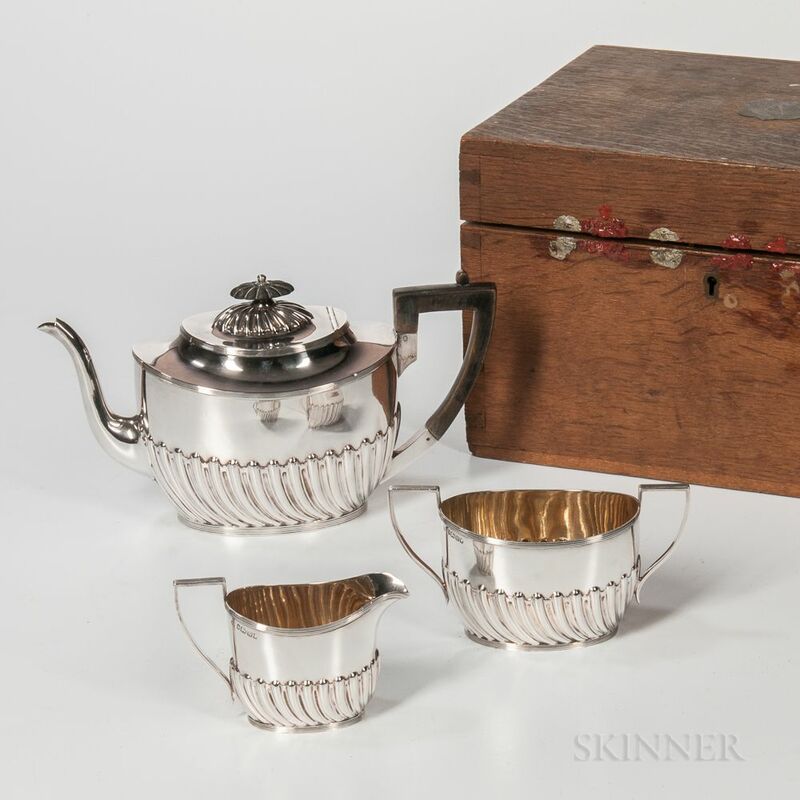 Three-piece Victorian Sterling Silver Tea Service, Sheffield, 1889-90, Harrison Brothers & Howson, maker, with gadrooned lower bodies, teapot, creamer, and sugar bowl, teapot ht. 5 in., approx. 21.8 troy oz., in the original oak case.